Thanks to a new breed of forward-thinking winemakers, the eco-friendly vessel is shaking its sketchy reputation. As drinkers, we’ve been conditioned to believe that good wine doesn’t come in boxes, much like good beer doesn’t come in “vortex” bottles and good cocktails don’t come in mason jars. And for a long time, the anti-box bias was well-justified—that is, unless you wanted to end up with a dorm-room gallon jug of swill, or the same Franzia “Sunset Blush” your grandma has packed away on the refrigerator side door. It’s true that there’s nothing romantic about a box of wine—no celebratory pop of the cork, no bottle to keep as a memento of some special occasion. But just as craft brewers has reclaimed the can, winemakers are embracing the functionality of the box. Most boxed wines contain three liters of juice (the equivalent of four 750ml bottles), and the packaging allows the wine inside to remain fresh for several weeks (a big plus when you just want a glass, instead of an entire bottle). And, of course, there’s the compelling sustainability factor—carbon footprints are slashed by the weight factor alone, since delivering one truckload of boxed wine is equal to about two dozen truckloads of the same wine transported in glass bottles. There’s no reason we shouldn’t be using this fantastic technology for wines of a higher quality. It’s simply the stigma we need to get over. Once you’re sold on the merit of boxes over bottles, the real question is, which wines are actually up to snuff? With some help from my wife and Tanner Walle of Vine Wine in Brooklyn, I’ve sampled the lot of ’em. We discovered five truly delicious wines from a box that taste as good, if not better, than many wines concealed behind fancy labels and glass. This is the ideal wine for all those summery outdoors activities, from playing softball in the park, to drunkenly careening off a rope swing into a lake (just kidding, we never drink and rope swing). The aroma bursts with fresh citrus, and the taste is slightly tart, with crisp acidity and hints of green apple. 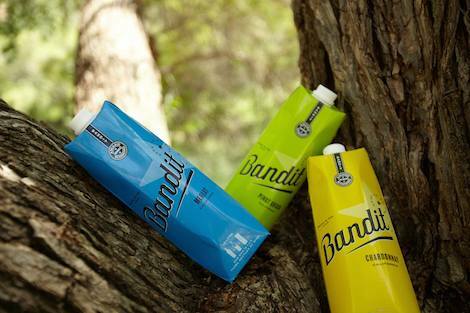 Echo-conscious winos will revel in the delivery stats alone: 35-40% fewer trucks are needed to deliver a shipment of these lightweight Tetra Pak cartons (made primarily from paper) versus wine shipped in heavy glass bottles. And since they can pack flat, one truck of empty Tetra Paks equals 26 trucks of empty bottles. It’s no wonder that according to Nielsen data, the boxed-wine category has seen a 24% growth explosion since 2013. When Michael Schmelzer, owner and winemaker at Monte Bernardi Winery, decided to focus on a fully “green” project, his goal was to create superior wine with as little waste as possible. 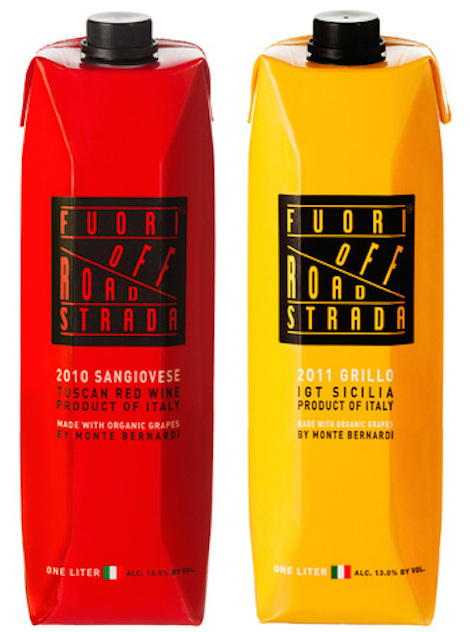 In terms of those goals and sheer tastiness, his Fuori Strada boxed wines are a runaway success. The white option, made with Grillo grapes from Sicily, is “fantastic and citrusy and a little flinty thanks to that volcanic soil—in short, it’s a really nice wine and offers superb value for the price,” says Walle, who tipped me off to this gem. I agree with his comments, but would add that that it provides the sensation of cruising down dangerous and steep roads, taking hairpin turns in an electric Fiat while the Sicilian sun beats down on your neck (in a good way, of course). Load up and share some with your pals who are into taking the road less traveled. A boxed wine from France? You better believe it—and a delicious one at that. Coming out of the Languedoc-Roussillon region, this white wine is macerated with the grape skins still intact to lend some light color to the vino, as well as an extra layer of complexity and mouthfeel. It’s then gently pressed and aged in temperature-controlled tanks—a lot of nerdy details for a wine that comes in a box, which is precisely why it stands out. This pick was all Walle’s and he’s spot on with his description: “Medium weight, dry, with a round mid palate—lemon notes are underscored by slightly salty notes, backed by good acidity. 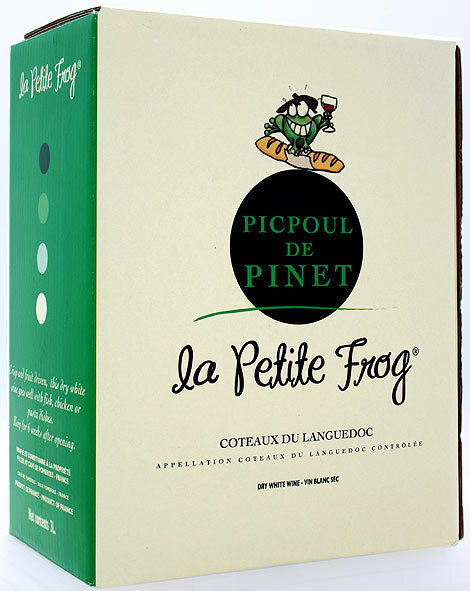 The young Picpoul wines tend to be pretty wound up, and made to be drunk now,“ he says. If you’re looking for great value in a French wine, look no further. 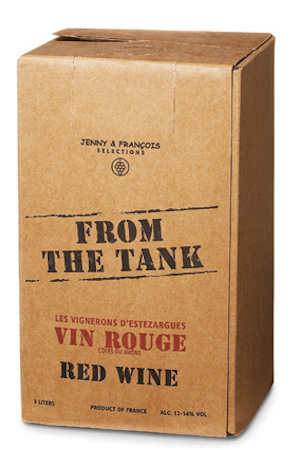 From the moment Jenny & Francois Selections partnered up with Les Vignerons D’ Estézargues, a small co-operative near Avignon in the southern Rhône, this boxed wine earned its rep as a star of the burgeoning natural and biodynamic winemaking movement. A little backstory from winemaker Jenny Lefcourt: “I lived in France forever, and boxed wine is really common there—you stop by vineyards and pick up a little box of wine, and that’s an easy way to always have wine in your home if you just want a glass and don’t want to open a bottle,” she says. “It always seemed like a great idea to me, but in the U.S. there wasn’t any quality wine available in that format.” To fill the gap, she and her partner, François Ecot, wanted to see if they could create a budget-friendly option without comprising on their organic and natural wine principles. The answer, which came in the form of Frank the Tank, was a resounding yes. If you can find the Vin Rosé, grab it before it’s gone for the season. If not, the Chardonnay is a dynamite summer wine and easy to drink, with bright, tart citrus flavors, plus an undercurrent of superb minerality balanced by bracing acidity. Grapes: 100% Chardonnay, North Coast Cabernet Sauvignon (Also available at restaurants: North Coast Cabernet Sauvignon, Sonoma Coast Pinot Noir, Mendocino County Zinfandel, Anderson Valley Chardonnay and Yorkville Highlands Sauvignon Blanc). Modeled after the French and Italian practices of selling wine straight from the barrel, VINIUM turns heads with its extra-handsome packaging, designed to look like a wooden cask full of pedigreed wine, rather than bulk juice. Not only does it provide a great conversation-piece, but there’s also serious value to be had—you’re getting four bottles of high-quality wine for the price of two. 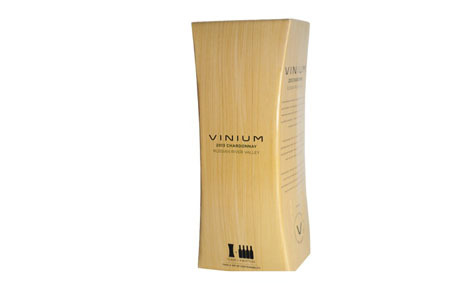 VINIUM’s 2013 Chardonnay has a lemony, vanilla-tinged aroma with hints of toasty oak. The body balances lemon curd with chalky minerality, giving way to the subtlest note of caramel on a lengthy finish.